The aim of this symposium is to provide a forum to discuss current trends and cutting-edge research on the engineering of functional materials and devices based on tailored chemical coating methods, both in 2D (thin films) and in 3D (nanostructures, nanocomposites and heterostructures). The call for abstracts is open until January 18th 2018. Don't miss the opportunity to present your research and exchange some ideas with some experts in the field on atomic layer deposition (ALD), polymer assisted deposition of epitaxial thin-films oxides, chemical vapor deposition (CVD), nanomaterials synthesis, surface chemistry and many other related fields. 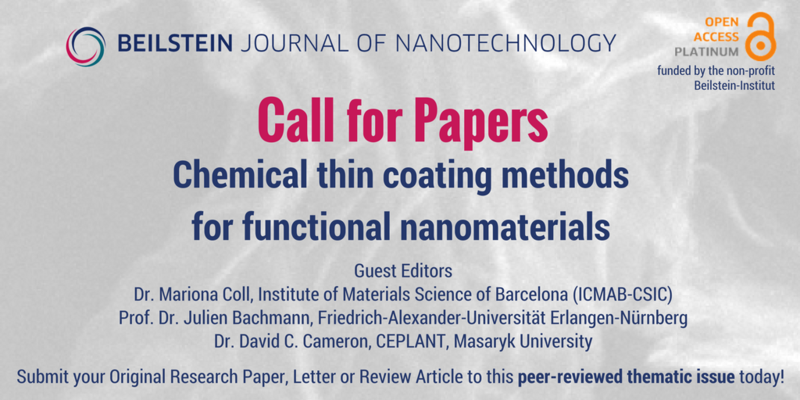 We have made special arrangements with the Beilstein Journal of Nanotechnology (www.BJNANO.org) to collect selected works related to this topic as a thematic issue entitled "Chemical thin coating methods for functional nanomaterials". All submissions will undergo a standard peer-review process and publications will be collected together as they are published. This is a unique opportunity to publish your original research as a review article, research article or letter in an open-access platform, without any costs for submission. BJNANO is a Q1 physics/materials science journal with a 2016 JIF of 3.1. The Beilstein-Institut fully supports this 100% non-profit journal. Please refer to the instructions which will be sent to you via email regarding how to submit. Functional materials displaying magnetic, ferroelectric, superconducting, optical and catalytic properties provide the platform for a wide range of technologies including computation, communication, and energy conversion and storage, thus they are essential in our everyday lives. In order to go beyond the state of the art in these applications, new materials and combinations of materials with dedicated, finely tuned functionalities need to be developed with emphasis on nanostructures, thin films, nanocomposites and organic/inorganic hybrids. In all these cases, where the surface- and interface-related effects start to become dominant over the bulk counterpart, adequate coating fabrication tools are crucial to provide precise control at the nanometer scale. Chemical routes (i.e. atomic layer deposition, chemical solution deposition, electrodeposition) are flexible low-cost deposition routes that allow for tailoring the physical properties through the chemical precursor and type and conditions of growth, especially when epitaxial growth is desired. It is also interesting to compare the complementarity of these techniques with traditional chemical vapor deposition and physical deposition techniques as well as the technological advances to develop and integrate processes in a cost and energy efficient process consumption for scale up. Advanced characterization tools, in-situ and ex-situ, are necessary to understand the relationship between synthesis and properties to design materials for a specific application. 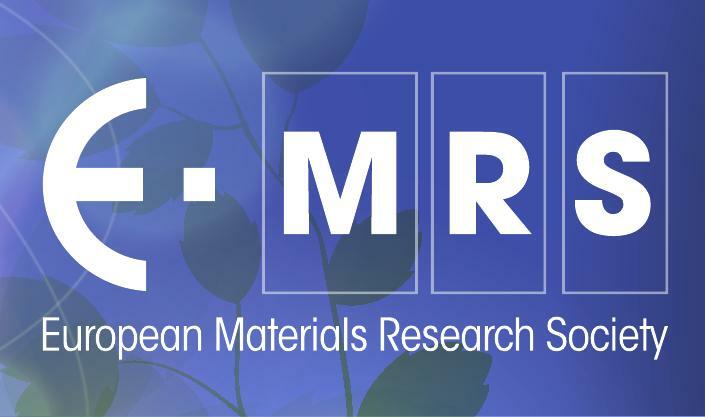 Apart from this symposium, other symposia are organized by ICMAB researchers, and there are even more symposia in many different topics during the E-MRS Spring Meeting. Please refer here for more information.